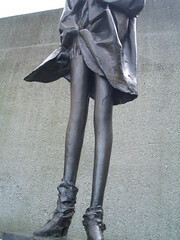 The Hakone Open Air Museum is a large park filled with an excellent collection of sculpture, as well as several indoor galleries. 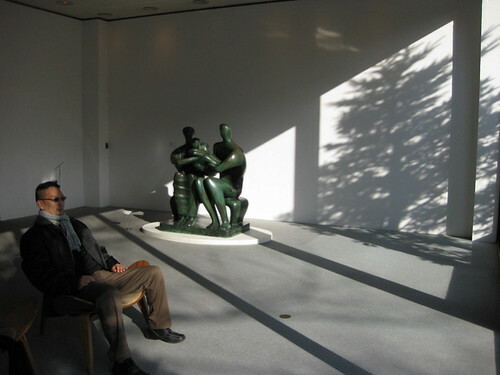 It’s my favorite museum in Japan because of its large collection of Henry Moore sculptures. And because there aren’t too many things in life better than appreciating art outdoors. The museum is actually a collection of smaller museums and galleries, as well as the various outdoor areas dotted with installations. The Art Hall has a really nice collection of new acquisitions in a pleasing, open, naturally lit space. There’s a gallery dedicated to Henry Moore to give you some background on his philosophy and career. The Picture Gallery had a display of Japanese artists influenced by Rodin, with some nice pieces by Giacommetti and other early 20th Century Italian sculptors. 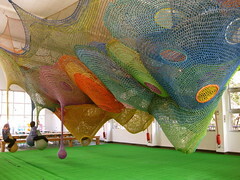 For families kids can crawl around in or explore many different sculptures. There’s the indoor castle of nets, an outdoor “playground”, a glass mosaic tower called the Symphonic Sculpture, and a hive-like burrow of see-through plastic hexagons. The biggest gallery is the Picasso collection, with mostly a sizeable collection of his ceramics, which he did mostly at the end of his life. It’s a nice change of pace from the over-exposure of his paintings from his Blue and Cubist Periods. The genius of the man is so broad, he deserves to be admired through all of his chosen media. I noticed he had recurring themes of fish, satyrs and his wife, perhaps his three main concerns as an aging man: food, wine and women? 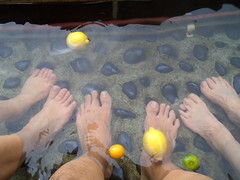 Also, be sure to get your feet wet in the warm outdoor footbath. The bookstore café has interesting mid-century décor, but the coffee is the usual mediocre overpriced cup of weak mud. I wonder when museums will realize that an afternoon of great art is sullied by bad coffee. I don’t mind the over-priced part because the cafés are usually quite stylish or artistic. Just make the coffee good. It doesn’t have to be great, just make it decent. I’ll even take anonymous and un-noteworthy. Don’t make me look down and notice an inferior beverage. Also, for crying out loud, for $4-8, get it out of the cheap paper cup, and put it into a mug or glass cup. And hey, why not throw in a freaking chocolate square or a candied almond!? 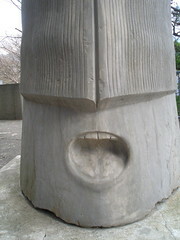 Bad coffee aside, I love the Hakone Open-Air Museum. It’s the best bang for your buck in terms of an art experience, with varied galleries, lots of interactive opportunities, all in a dramatic outdoor space.